Just letting the board know there's a new rider here in the N. Atlanta area. I am near Kennesaw/Cartersville area. I just started riding. I will be taking the new riders course at north metro tech this weekend (unless we are rained out for the road stuff). I've been riding all of about 4 days now. I took a longer ride this weekend (about an hour) and enjoyed it. I did learn quickly I do not have good cold gear! Look forward to hearing from and learning from other riders out there. Welcome! I'm over in Athens. I took a ride this weekend myself and decided I needed some new gear. I just started riding this spring so I'm learning about how to enjoy a cold weather ride. Welcome to the forum. I live in Jacksonville, Ala. I lived in the Kennesaw area back in the late 70's. We rode over to the mountain earlier this year,,,things sure have changed! Glad to meet another rider. I picked up a balaclava and it worked great this morning at 32 degrees. Freeze out is the brand. I also picked up some thicker gloves, but the hard portion on the knuckles caused pain on the ride. I am going to take 'em back and try something new. We've lived here for a number of years and it keeps getting busier. 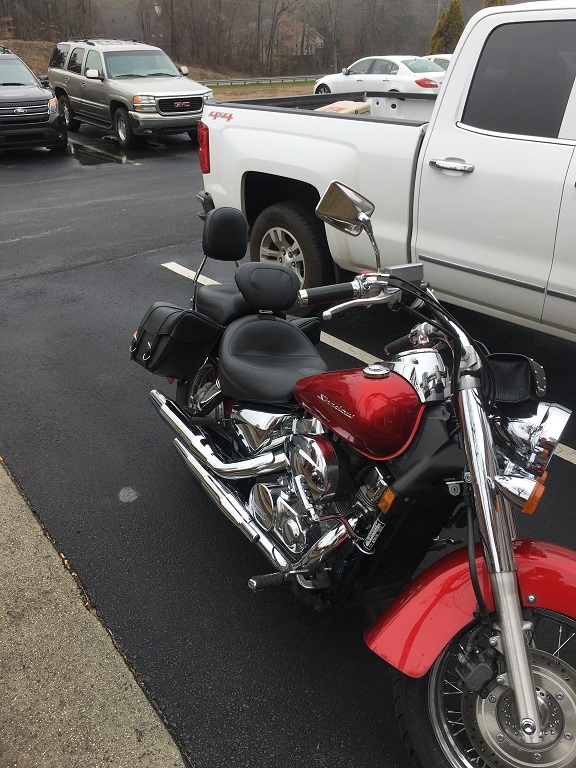 Once I have been in the bike a bit and have my full license (hopefully this weekend from the safety course) I want to ride into AL. I love taking country roads and AL looks like an awesome place to find some. Give a holler if you are going to head this way. There is a road about five miles from my house that is about 5 miles long and it is curvy. Then we could head up to Mt Cheaha on Al-281. It is a great ride. Will do. It's something I'd like to do in the spring. Good luck with your MSF class this weekend. If you have not seen the following threads take a look at them when ya have some time.